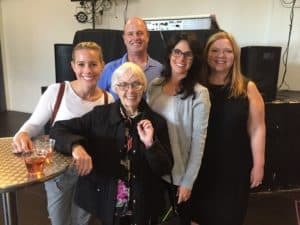 MidNorth Community Theater Night drew in some new faces, including one of MidNorth’s founders, Marj Barry. What an inspiration she and her team of neighborhood preservationists are for all of us! We hope to collect her story and post it to this site in the near future. The Victory Gardens production of “Native Gardens” was right up our alley, with non-stop laughs that hit very close to our neighborhood organization! It reminded us that “all politics is local”!! Thank you to Tamara Maple for planning and organizing the event, which included delicious catering from Smoque. Thank you also to Victory Gardens for supplying the delicious cocktails! We look forward to our next event.